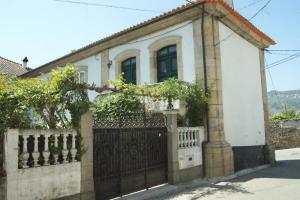 Solar da Glória ao Carmo price per day from € 70 This 300 year old manor house is located in Livramento, 5 km from Ponta Delgada, in S. The modern apartments have a mezzanine floor with a double bed and a fully equipped kitchen. A rental car service is available for guests to explore further this quiet retreat..
Alojamento Bela Vista Alojamento Bela Vista offers a seafront location in Lajes do Pico, Pico Island, Azores. Some offer sea views, and others have free WiFi access. This village has vineyards, a scenic setting and overlooks Faial Island. 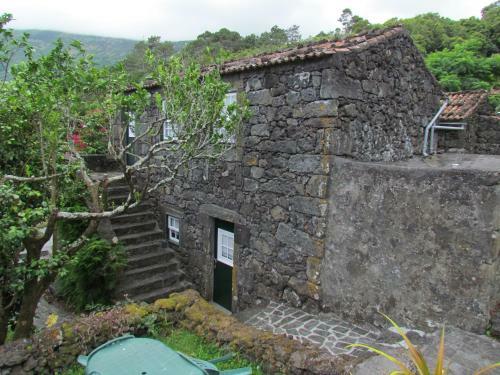 Casas do Capelo price per day from € 45 Casas do Capelo is a set of 4 typical Azores properties situated in the Capelo parish. The tranquil Casas do Capelo are a 10-minute drive from the airport. Guests can explore the surrounding green areas by using one of the Capelo’s free bicycles. Apartamento Valados price per day from € 40 Apartamento Valados is located in Ponta Delgada, São Miguel Island of the Azores archipelago. The private bathroom includes a bat, a shower, a bidet, a hairdryer and free toiletries..
Hotel Praia Marina price per day from € 68 Situated on a beachfront location on Terceira Island, this non-smoking hotel offers spacious rooms with balconies overlooking Praia da Vitória’s marina. All soundproofed rooms at Hotel Praia Marina feature modern decorations and wooden floors. Praia Marina Hotel is just a 5-minute drive from the island’s only airport, Aeroporto Internacional das Lajes..
A Casa do Chafariz A Casa do Chafariz is located in Ribeira Grande, sited in the Azorean São Miguel Island. Local restaurants are available within a 5-minute drive..
Casa Das Furnas Casa das Furnas is located in Furnas Valley, set in São Miguel, Azores. Both bedrooms have access to a balcony with panoramic views. 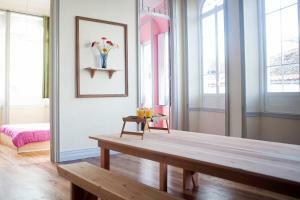 The Furnas centre is 2 km away and features several traditional restaurants for guests to try out. 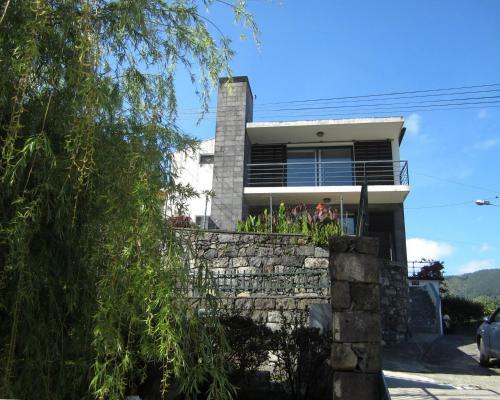 Quinta de Santa Clara price per day from € 45 The Quinta de Santa Clara is a cozy property, 22 km from the famous Lagoa do Fogo, the highest lagoon in São Miguel Island. 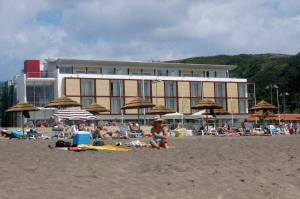 The tranquil unit is a 10-minute drive from the Ponta Delgada centre and provides free bicycles for its guests. For more meal options, several local restaurants are available within a 5-minute drive from the farm..
B&B by Lapsa price per day from € 115 B&B by Lapsa is located in downtown Ponta Delgada, in the São Miguel island of the Azores. The renovated building dates back to 1927 and features high ceilings and plenty of natural light coming from the large windows. Guests may prepare their own meals in the equipped kitchen at their disposal. Casa Da Faja price per day from € 80 Located in the village of Feteira, 6 Km from Angra do Heroísmo, Casa da Faja overlooks the sea and offers a beachfront view of the Ilhéus das Cabras and Monte Brasil. The living room includes a fireplace, a flat-screen cable TV and sofas. Casa da Faja is a 2-storey house with mezzanine and includes a fully equipped kitchen and barbecue facilities allowing guests to prepare their own meals..
Convento de São Francisco The Convento de São Francisco is a built in a 17th century Franciscan convent. The comfortable rooms at the Convento de São Francisco feature a private wardrobe, bathroom with free toiletries and views over the surrounding area, garden and the ocean. 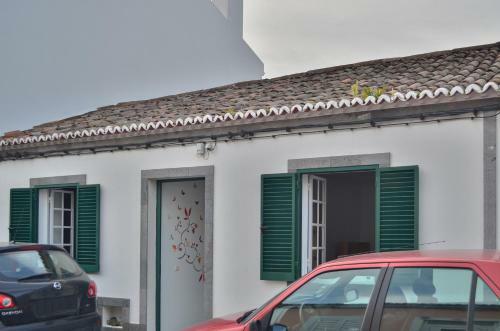 Casas de Campo HousesInPico price per day from € 50 Located in Pico Island, in the village of Prainha, Casas de Campo HousesInPico offers self catering accommodations. Each villa features a fully equipped kitchen with a washing machine and a refrigerator. 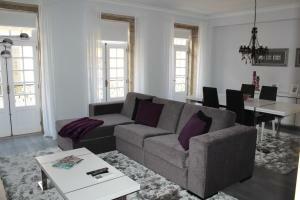 Lena's Home price per day from € 28 This newly-built property offers private rooms in the centre of Ponta Delgada. Guests are welcome to prepare their meals in the equipped kitchen at their disposal. The property includes a shared lounge area with sofas and a TV, where guests are welcome to relax and take a break in a tranquil ambiance..
Retiro dos Cabritos price per day from € 45 This Azores property is in São Mateus in the Pico Island. The house features a living room with sofa beds and a flat-screen satellite TV, DVD player, private bathroom with a hairdryer, fully-equipped kitchenette and a terrace. Outdoor barbecue facilities are also available, and guests can enjoy meals in the furnished terrace..
Quinta Da Nasce Água price per day from € 71 .